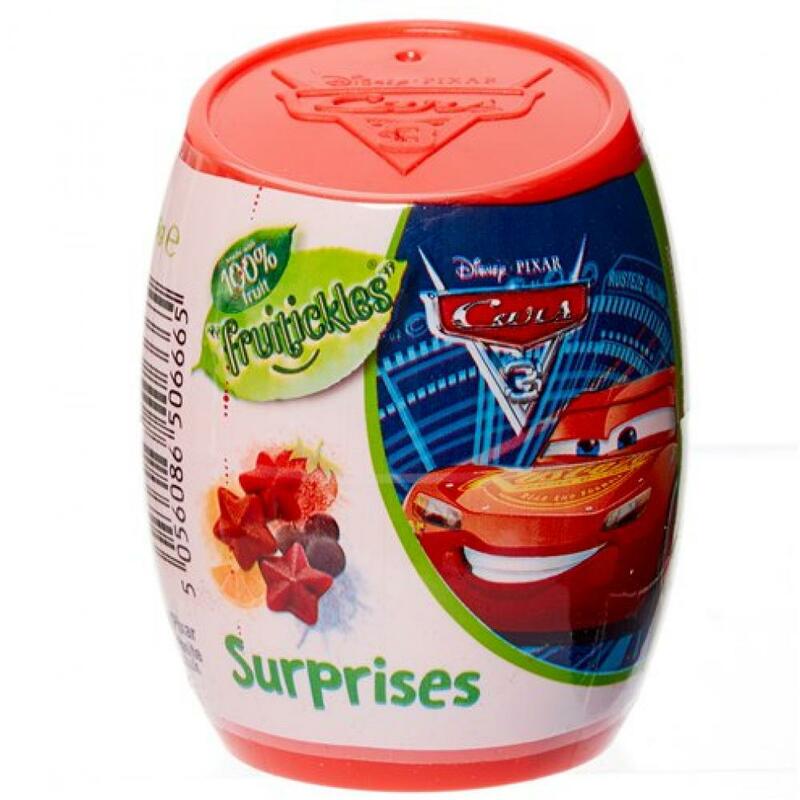 Invite Lightning McQueen and the gang to your child's next birthday party with these Cars Surprise Pods. They'll make the ideal Disney-themed party bag filler for all their friends. Surprise inside varies. Suitable for vegetarians. Gluten free. INGREDIENTS: Concentrated Apple Juice (86%), Concentrated Strawberry, Blackcurrant, Orange Juice (8.5%), Gelling Agent (Citrus Pectin), Dried Orange Pulp, Natural Strawberry, Blackcurrant, Orange Flavourings, Glazing Agent (Carnauba Wax Coating). Nutritional Information - Typical values per 100g; Energy: 1383kJ;327kcal; Fat: 3g; of which Saturates: 3g; Carbohydrate: 76g; of which Sugars: 74g; Fibre: 6.9g; Protein: 1.5g; Salt: 0.3g. Made in UK. Bon Bon Buddies Ltd, One, Foxes Lane, Oakdale Business Park, Blackwood, South Wales. NP12 4AB. Store in a cool, dry place.